Some races go well, and some…not so much. I had my fair share of tire deflations and a hard wreck on the 1st stage left me pushing to make up some time trying to salvage a couple of the other stages. Thanks Called To Creation for the RAD photo! Here is stage #1 (prior to my wreck). My tire was deflating when this photo was taken. It may not look like it, but that’s a good size chunk missing. Thanks to the event medics for cleaning it out twice for me. I ended up 11th on stage 2 and 13th on stage 3, which I am fairly happy with after all the mishaps and my injury earlier in the race. But as luck has it, I punctured again near the top of the final run. I ended up limping all the way back to the venue on a flat. Oh well, racing has its ups and downs and I guess Battle Born just wasn’t my race! 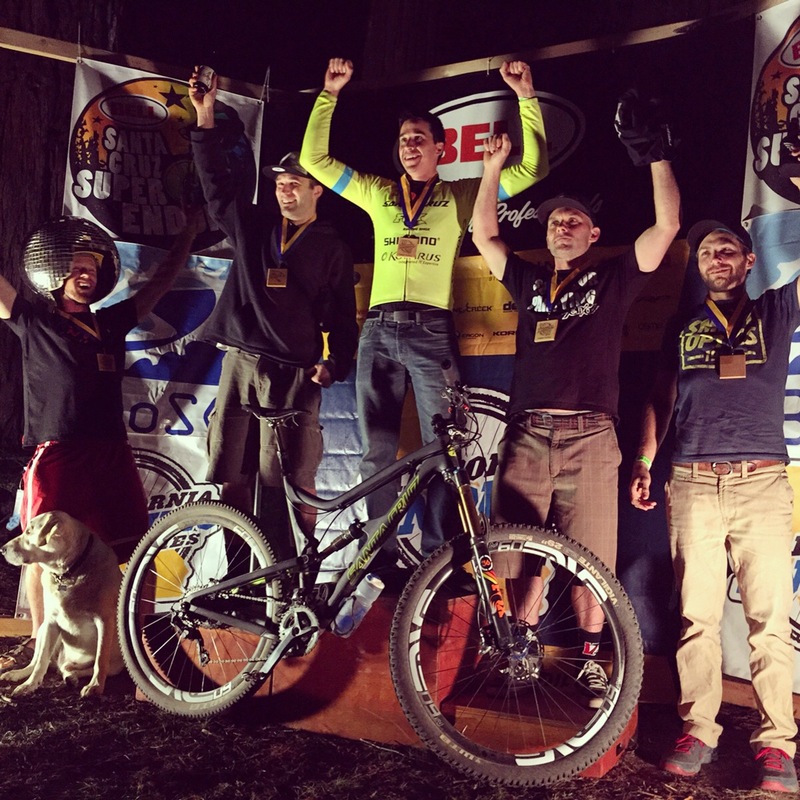 I’m super stoked for the dudes on the podium: Ryan Gardner, Evan Geankoplis, Doug Thayer, Kyle Warner and Derek Teel. You guys crushed it!! As for my Pink Steed, she rides amazing. Coming off of a Tallboy LTc with a 160mm fork, I can surely say that the Santa Cruz Bronson v2 is amazing! 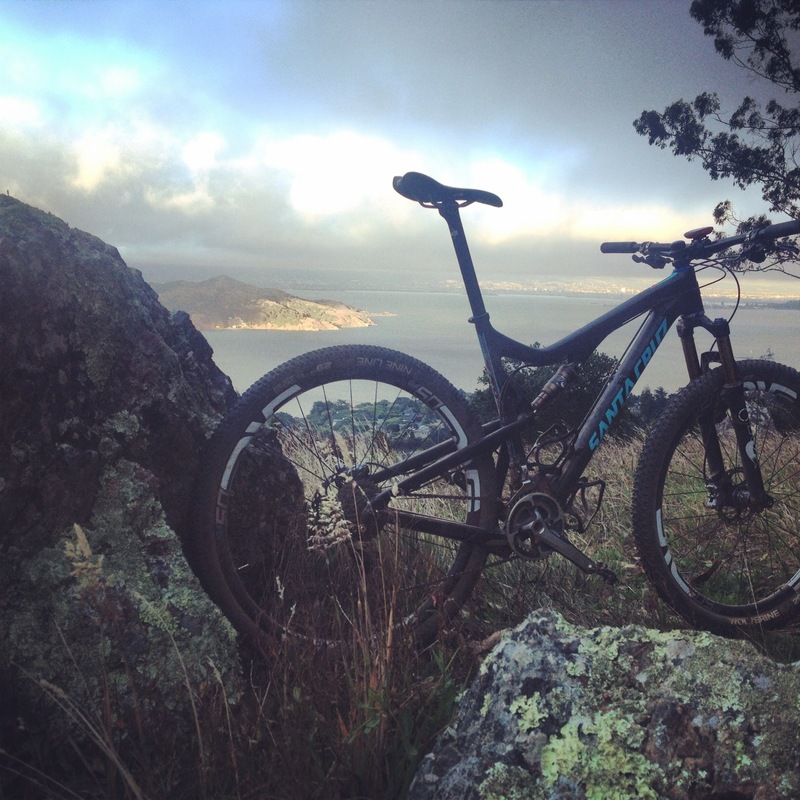 Compared to my LTc, the Bronson has 1 1/2″ shorter chainstays, yet 1 1/2″ longer wheelbase and a 66 degree head angle. It is extremely animated and flickable in any situation. The 150mm VPP rear end soaks up all the gnar and begs for you to let off the brakes. I was instantly comfortable jumping on this bike and can’t wait to continue dialing in my abilities to match its capabilities! 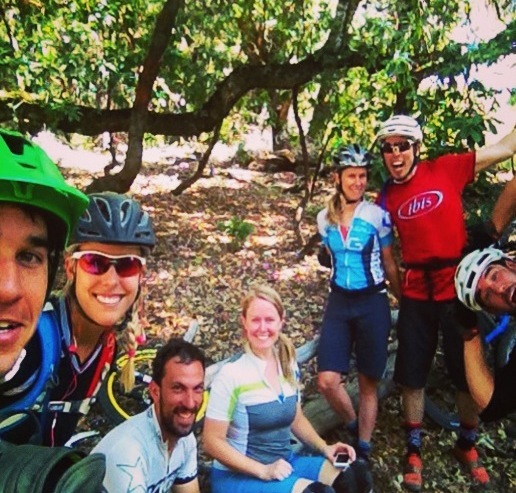 I’m getting stoked about the upcoming California Enduro series! With the addition of 2 extra races, one being in Mendocino and the other in Ashland (both places I have not yet ridden) I can’t help but be super excited! 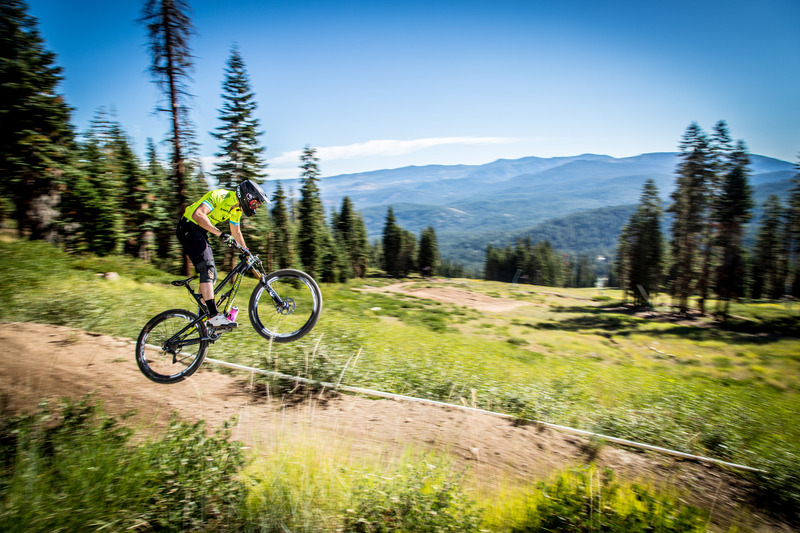 CES does it right and puts on a variety of races for any skill level with a few gnarlier, more technical races such as Kamikaze and Northstar, and a few somewhat tamer races as well. Enduro is more than just racing, as we all make it a point to get out and camp, hang out with some good friends, and drink some tasty beer. 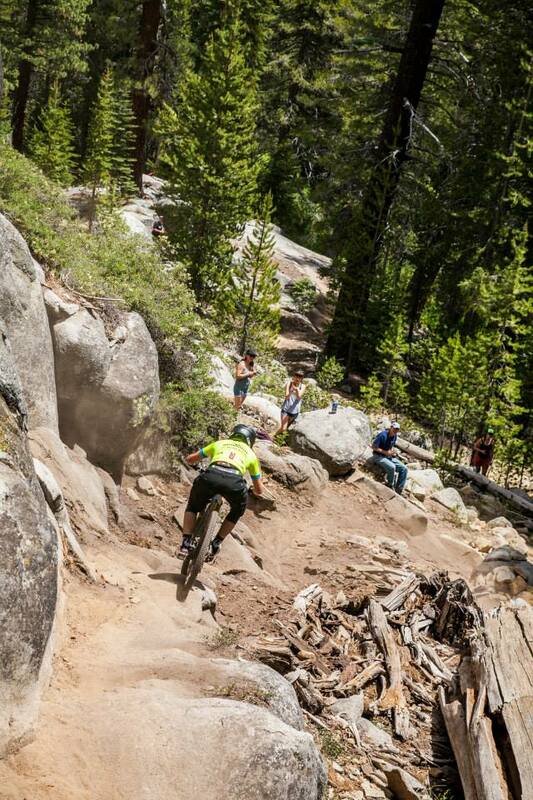 The races will test your skill, your motivation and most importantly your bike and equipment. My goal last season was to be consistently fast, race every race, and have a great time doing it. And that I did! 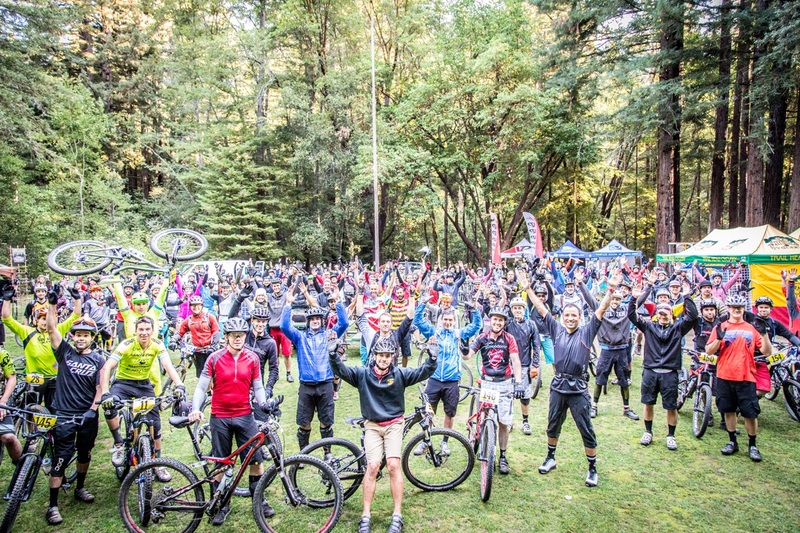 All this adds up to some awesome memories, and I can’t help and think back on last season’s epic Enduro race season and some of the funny stories that went with it. 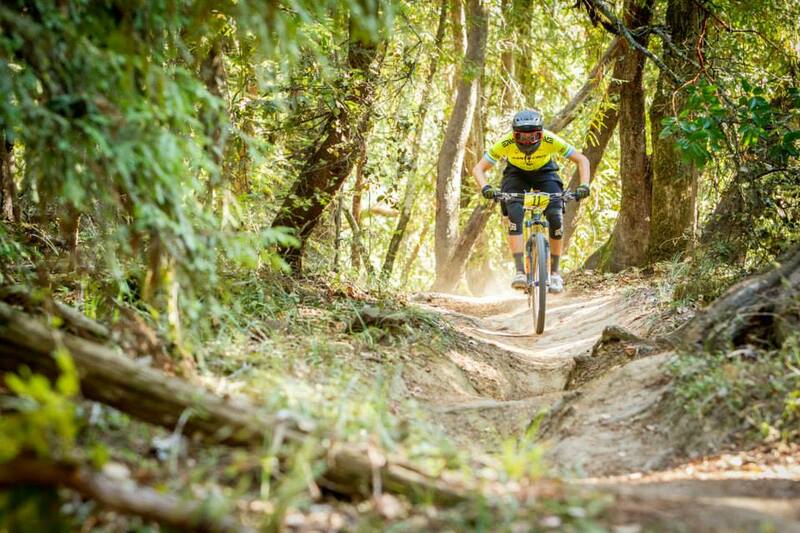 It was the last race of the season, the coveted Santa Cruz Super Enduro and as any mountain biker knows, the trails in Demo Forest are some of the best. I was so excited to gear up and defend my current 2nd place series standing, and knowing if all goes well I could possibly pull off the series win. 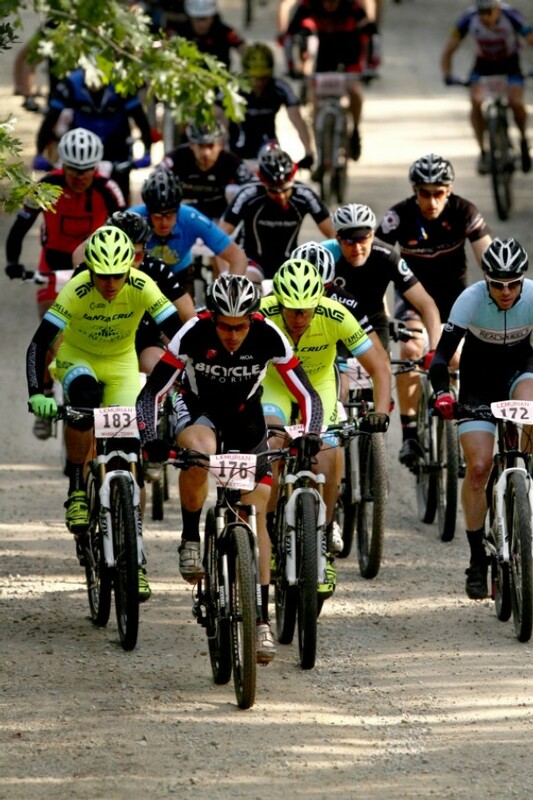 My bike was dialed and I was super pumped to make use of my new Fox 36 fork that I got specifically for this race. My buddy Ben and I had just passed the Summit Store where we took a much needed pit stop before getting back in his rig to continue down the windy somewhat sketchy Highland Way Rd. I couldn’t help but to start talking about how I’m always a little nervous to get to the races on time, especially driving in on the morning of the race. “My car only has 400 thousand miles on it” my buddy Ben said to me. I already knew that it was his pride and joy and he was expecting it to run to 500k. “I know dude, at least we are almost there!” Not 5 minutes later did we hear a loud CRACK and the feeling of a 2 foot deep pothole as the front of the 4 Runner dropped to the ground! Skidding about 100 feet on the lower ball joint, we finally came to a stop, on luckily the only straight stretch of road. Frantically jumping out to take a look, in disbelief, the front wheel was completely folded under the front end of the rig. We weren’t going anywhere. Thanks to a couple fellow racers who pulled up minutes later, snapped some photos, and loaded our gear in their cars to bring us the final couple miles to the venue. As for the 4 runner, it was towed not long after, deemed beyond repair and Ben scrapped it for a couple hundred bucks. Fighting back the thought of our crazy morning, I had a solid race that put me in 15th, and gave me the last nudge I needed to move me into the series lead! I could not have done it without dialed equipment that held up through the toughest situations. I may have not been the fastest Pro at each of the series races, but to me, riding consistently fast and hitting every race in the series is what counts. It paid off in the end with mostly top 10 results, and 1st overall! 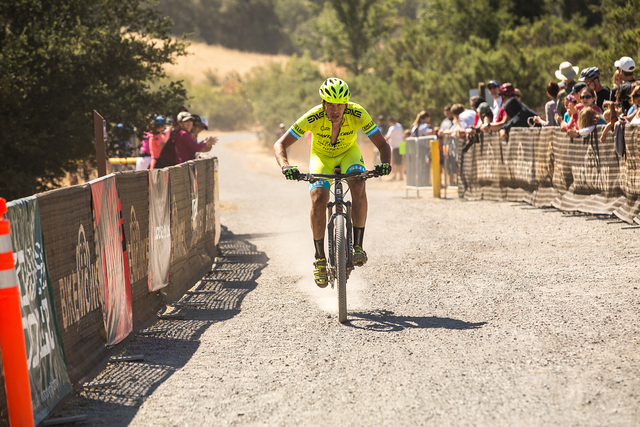 As we all know, a dropped chain, flat tire or any other mechanical issue will cost you the race. Unlike our gnarly mechanical on the morning of the season Finale, keep your wheels rolling and the rubber side down! Thanks to all my sponsors, Santa Cruz Bicycles, Enve Composite, Fox Racing Shox, Shimano, Chris King, Giro, Capo Cycling Apparel and Clif Bar for making it happen! 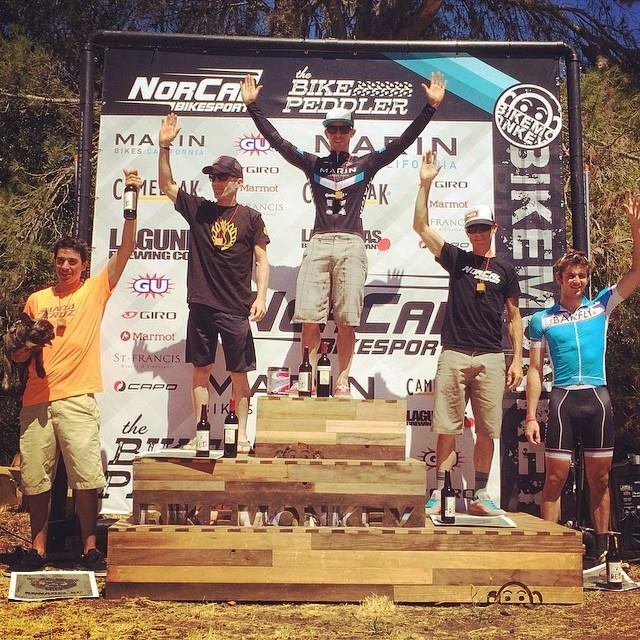 Thank you California Enduro Series for hosting a great set of races, I can’t wait for the upcoming ones! Have an awesome next season everybody, see you at the races! Series win! Congrats to Doug Thayer, Jake Dore, Casey Coffman and Tom Doran for your overalls standings! Santa Cruz Super Enduro. These people know how to have a blast! Two weeks ago, Santa Cruz Bicycles hooked us up with our new race weapons. I received the perfect bike for the Annadel XC race, the new generation Tallboy 2 C. I was finally able to take all the boxes of new parts that I had waiting for this day, and build up this brand new whip! 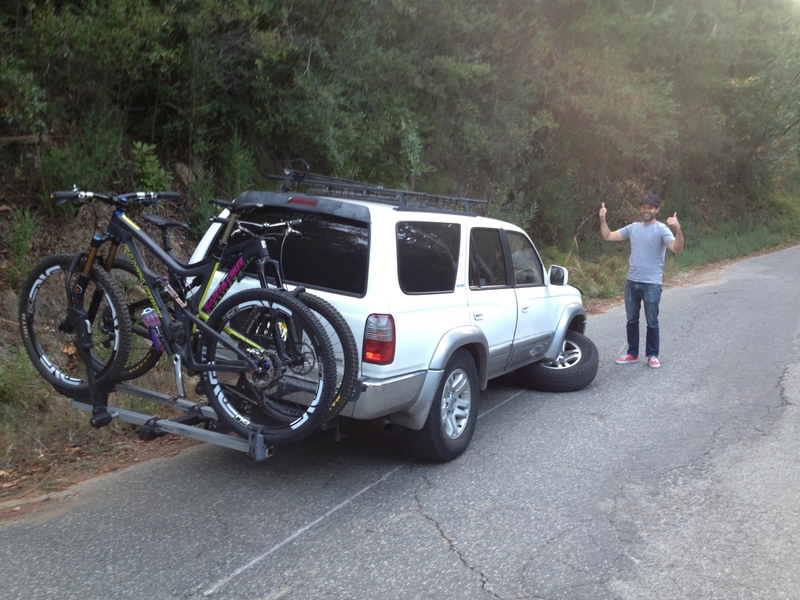 Thank you to Santa Cruz Bicycles for providing me with this amazing rig. 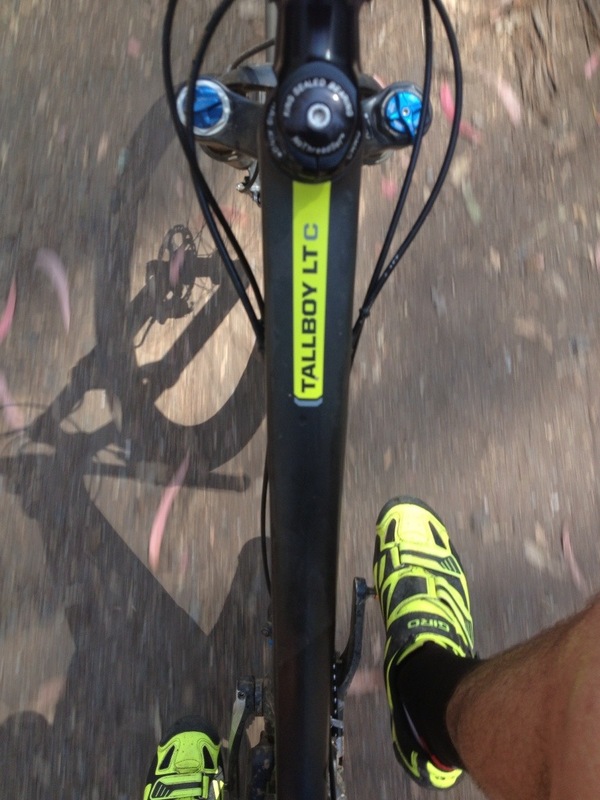 And Enve Composites, Fox racing Shox, Shimano, and Thomson for making this bike come alive. I knew that I would have to redeem myself after Downieville’s underwhelming result by pinning it on the somewhat rocky trails of Annadel. So I did. 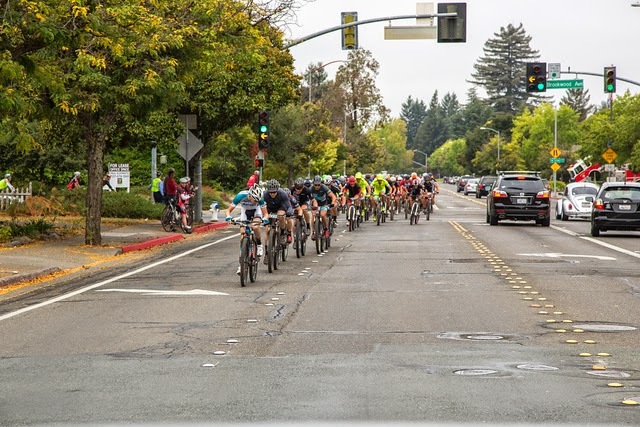 The road start was sketchy as always, with a couple young guns drawing out the pack as they sprinted down Sonoma ave. I tried to stay smart, sit in as much as possible to get ready for the funnel effect as we hit the first road climb and then dirt. It worked, I ended up in the top 4-5 and held my position through the start/finish arch where Leipheimer, Hosey, Finnerty, Gibson and I had already created a sizeable gap between the rest of the racers. I kept telling myself to just hold their wheels and keep contact as we crested the first short technical dirt climb and began the somewhat technical descending to the north side of the park. I managed to hold on to the three leaders until the first long climb, where they slowly pulled away from me. Thinking back, I should have stuck with them a bit longer, but I tried to conserve as much as possible as I was worried about the climbs later in the race, where last year I really began to suffer. When I crested the top of the first climb I thought to myself that it felt a lot shorter than last year, happy to still feel strong and ready to power on. The rest of the race went really smoothly and I basically raced myself because I was in no-man’s land between 3rd and 5th place, though many times I saw a lingering cloud of dust from Finnerty who finished a minute ahead of me. To keep motivated I constantly told myself that I don’t see anybody behind me, but someone is there. I needed to have that feeling that I was being chased, so I created a false fear, and continued to push forward. I finally made it to the final fire road descent where I turned the suspension to descend mode and let the Tallboy do what it does best, fly over the rough stuff. 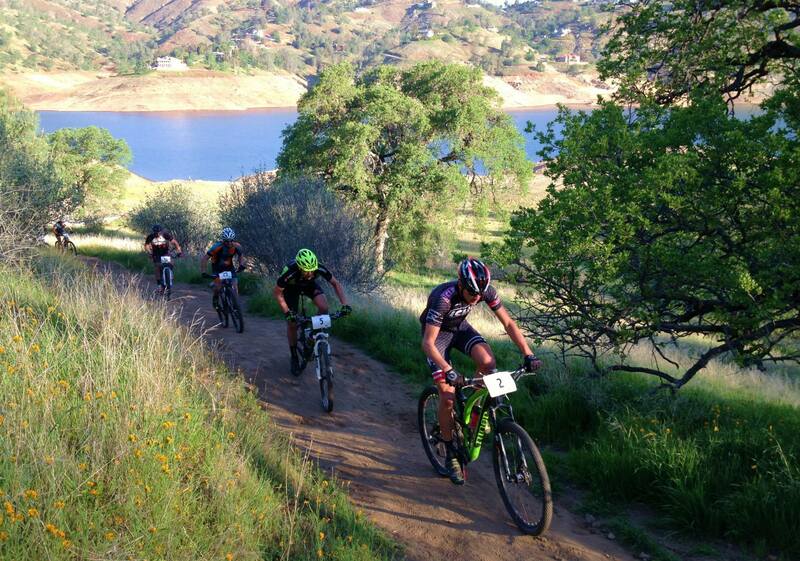 I was so happy to cross the line with 4th place in the bag and my fastest Annadel race time in the books. 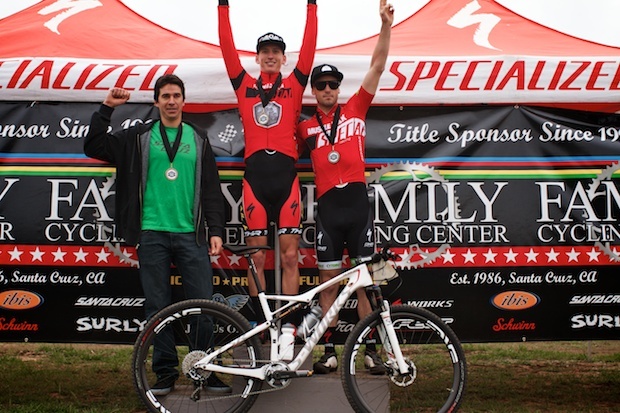 Congrats to Michael Hosey for taking the win and Leipheimer and Finnerty coming in 2nd and 3rd. Also to Ryan Gibson who took first overall in the Expert category! Nice work out there! Oh ya, Gizmo my Fiance’s and my Pup came with me up on the podium. He’s a great mascot! I was surprised that I didn’t even cramp and I always cramp! Maybe I had more in the tank than I thought. I swear, new bikes make you faster! 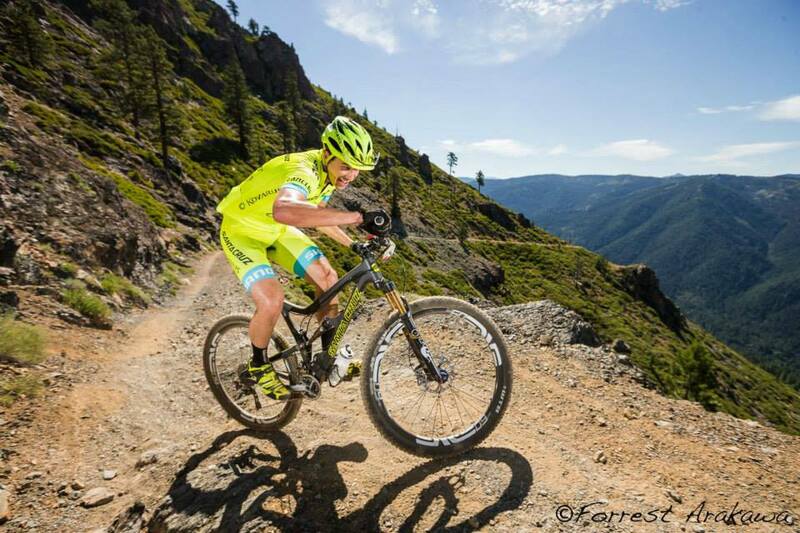 Last year, I crushed Downieville with a 5th place finish in the All Mountain Category. My training and hopes were high this year as I prepared to better my previous years placing, and hopefully stand atop the awkward 4 man podium that I literally missed by a tire length last year. This year, I was left disappointed and frustrated with my performance, making me question my fitness and overall racing prowess. I felt weak and underpowered during the XC race, and during the Downhill I flatted and had to re-air two times. Fellow racers have told me that you have good races and bad ones, but up to this point I had felt like most of my races were the good ones; as I felt strong, rode my heart out, and finished with a top or at least decent result. I had not yet experienced a “bad” race, where I felt underpowered and flat, but now I know exactly what they were talking about. 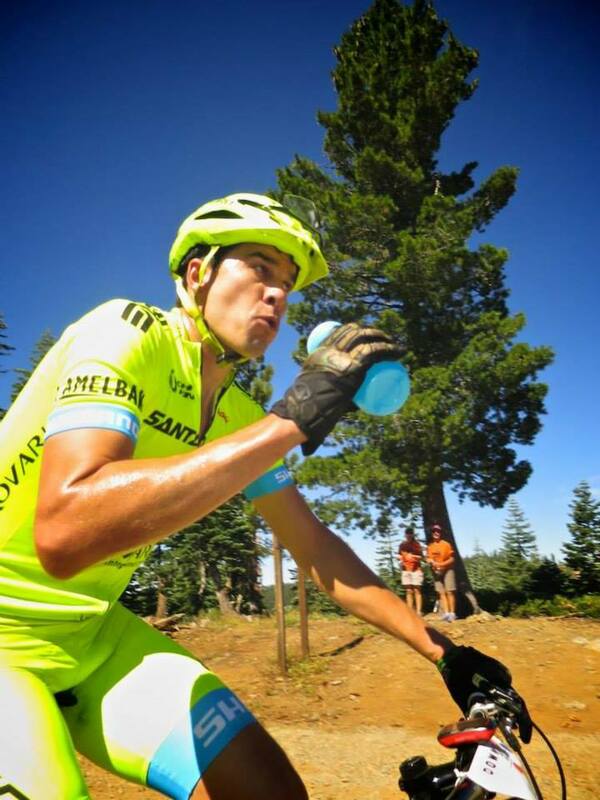 This year in the Downieville XC, I started strong and about 30 minutes in I barely could turn the pedals over. Yes yes, I understand that the start climb lasts a good 45 minutes for the top racers, but it was not the climb that was slowing me down, I have done it faster while pre-riding. Was it my too fast of start, trying to hold the lead pack’s wheel? Was it my lack of heat training now that I am living in the San Francisco and currently in winter mode? Was it my stress from the night before, where I was messing with a punctured tire and leaky rim tape for a couple hours? Or was it the morning before the race, where I ate a meager breakfast after finding that my tire was flat again when I woke up? Yep, I had to re-tape my rim in the morning, leaving me with no time to eat a substantial breakfast the way I usually do before a race. 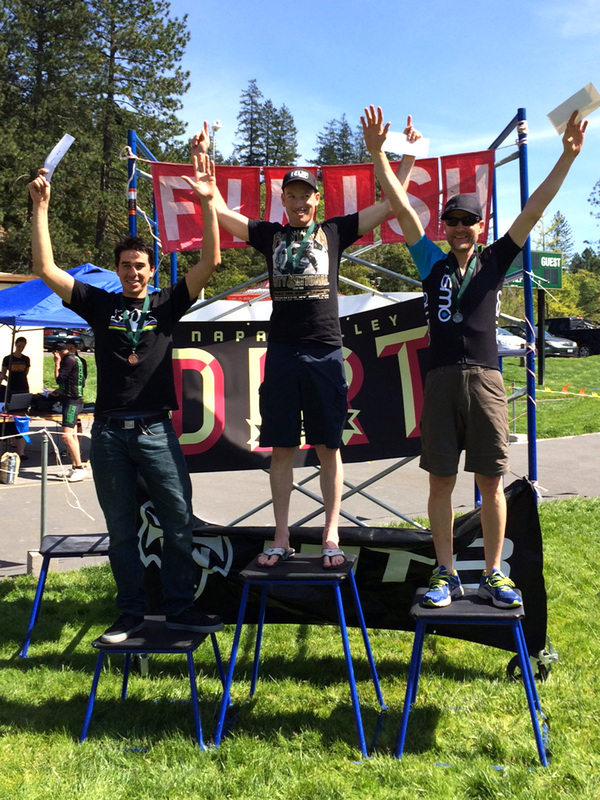 Whatever my excuse is for underperforming at the Downieville XC this year, I know it was not my fitness, as 2 weekends later I was happy with my Annadel XC result. 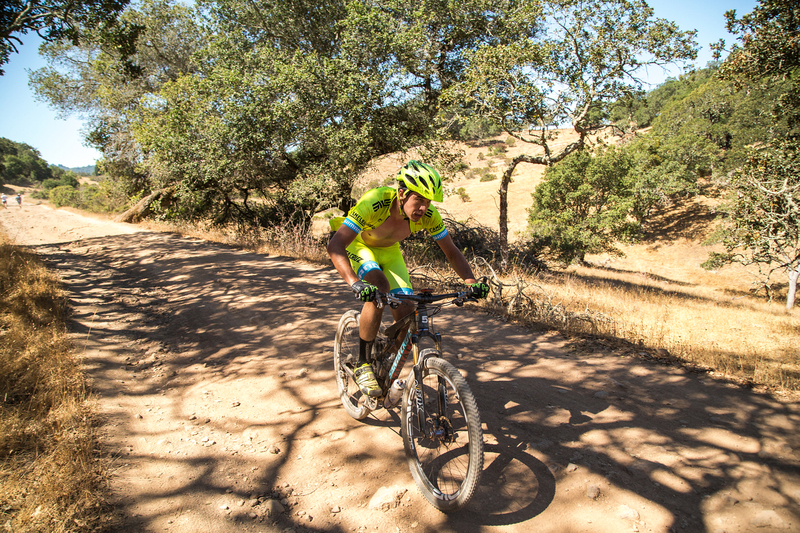 Of Course Forrest Arakawa still got a great photo of me about 3/4 the way up the climb. Though I’m not sure where I was steering. Thanks Giro for hooking it up with new helmets, shoes and gloves! They match my Tallboy LTc perfectly! I put 54 miles and 7100k of climbing on them today! 4hrs 15min ride time and my feet feel great! My legs…not so much. We have a new addition to our family! 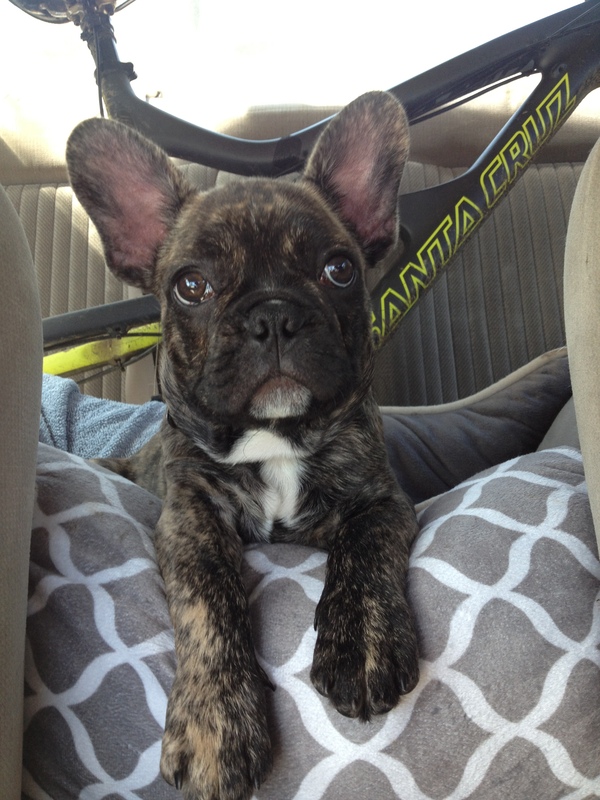 He’s our 10 week old French Bulldog who we named Gizmo! I’m looking forward to Maddie and him waiting at the finish line at my next races! Lumerian Classic. First time racing/riding here! Amazing trails! 2nd place to Billy Damon. Nice work dude! CCCX #2. 3rd place to these two serious dudes, Alex Wild and John Hauer! Nice work guys!